First off, hello everyone! It has been a while since I posted a new recipe. 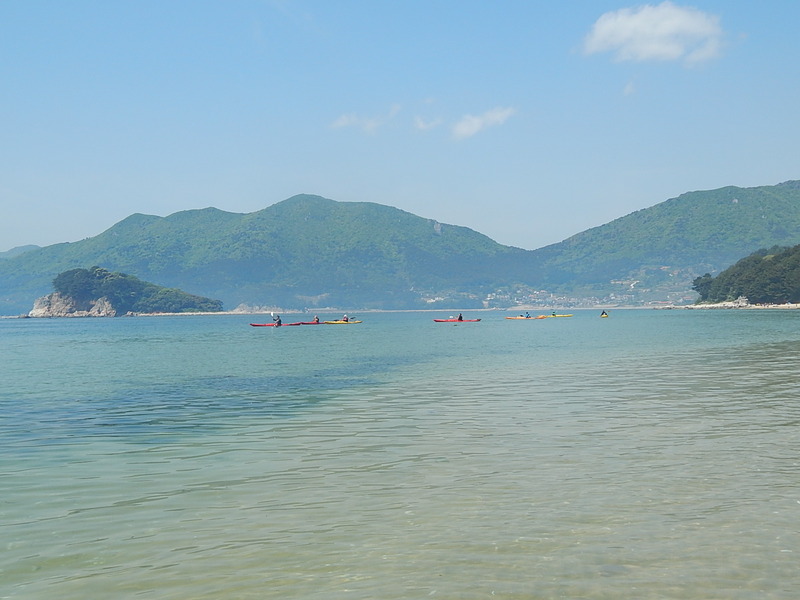 May has been an intense month – the first 3 days were spent at Gujora Beach on Geoje Island (see right). It was just beautiful there and so much fun, too! Around 11 of us went, and we barbecued tons of food: hamburgers, chicken, pork, and vegetables for nearly every meal. The following weekend I celebrated a friend’s birthday in Seoul, and since then I’ve just been trying to catch up on normal everyday life while trying to perfect the following recipe. Which I did, finally, on Saturday morning! Over the last month, I think I’ve had various versions of this recipe about 6 times, and I am at the point where I am almost sick of chicken (but can one ever, really, be sick of chicken?). Luckily, I have plenty of taste testers in my group of friends, and one of them in particular was really helpful in deciding the final ingredients. He has tasted three different versions, and it was his inspired suggestion that lead me to include tomatoes. So, thank you, Luke 1.0! I hope you like this recipe and it becomes a regular in your repertoire of dishes! Meanwhile, using a blender (I used a hand blender), blend together the pesto, spinach and garlic cloves. Add the pumpkin seeds, the hard mozzarella cheese and seasoning. Blitz until most of the pumpkin seeds are ground up and the cheese has mostly blended with the other ingredients (it kind of looks like a pesto without the oil). Place the flour with a little salt and pepper in a shallow bowl or on a plate and set aside. Place the egg in a separate shallow bowl and set aside. Mix the parmesan, salt and pepper into the breadcrumbs in a shallow bowl and set aside. Cut each chicken breast in half through the middle so that you have two thinner pieces (almost as if you are going to butterfly the chicken, but instead cut the whole way through). Flatten each half out with a meat mallet or rolling pin. Spread some pesto on each piece and top with a slice of buffalo mozzarella. Add some of the sundried tomatoes to the top of the mozzarella. Roll the chicken to encompass the filling and secure with a toothpick , if needed. Cover the stuffed chicken with the flour, shaking off any excess flour. Then dip and cover in the egg, and finally, the breadcrumb mixture. Meanwhile, heat 2 tbsp of olive oil over medium/medium-high heat. Add the chicken breasts and fry until golden on each side. If needed, add more olive oil. Place each breast, seam side down in a baking dish, and pop in the oven for 20-25 minutes, checking at the 20 minute mark. Serve with bread, potatoes, a pasta dish, a green salad, or vegetables. Guacamole goes really well as a side to this chicken also. *I used the “Kirkland Organic Oven Dried Roma Tomatoes” that I found at Costco but sundried tomatoes in oil should work just as well. Depending on how big your chicken pieces are you may need a little more of the tomatoes. If you have any leftover, you can serve them as a side to the dish. **I used Ottogi breadcrumbs but Panko would also work. Make it your own: Add more garlic to the “pesto.” Substitute fresh tomatoes for the sundried ones or these balsamic roasted tomatoes. This sounds amazing, great combination, I am going to try, thank you for sharing. Let me know how you get! I hope you enjoy it. Thanks for checking it out. What a great way to shake up a chicken dinner! mmmm I have a bad habit of turning to chicken for dinner everynight, I’ll have to attempt something like this next time I’m feeling adventurous. If you’re interested, I’d love for you to share a post in my blog link up tomorrow. It’s a great way to network with other bloggers and share content. I wrote a brief explanation up on my main menu under ‘Tell Em Tuesdays’. I hope you’ll join in! I have classes at the moment but I will check out the explanation and get back to you asap! Thanks for the offer! Hi, again, K! I will definitely join in – I hope I’m not late. Ended up working until extremely late today. 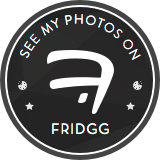 I hope you attempt to make this chicken – it was so good and a little healthy! ha! Hey Maggie! Happy you could join in. I’m a teacher too- I know how crazy it can get! 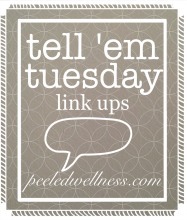 Thanks for linking up on Tuesday! Hi Kim. It was my pleasure. We had a long weekend this week and it was Thursday morning before I realised I had missed linking in on this Tuesday gone out! I am putting it on my calendar for next week, though! I will indeed check your blog as soon as my classes are finished for the day! Thank you! I hope you get to try it someday!